Celebrate the launch of Minions with General Mill's Life Made Delicious products. We love General Mills Life Made Delicious products. And with Minions added to the packaging and products it makes it even more fun! All the products featured are yummy and kids will also have alot of fun with them! 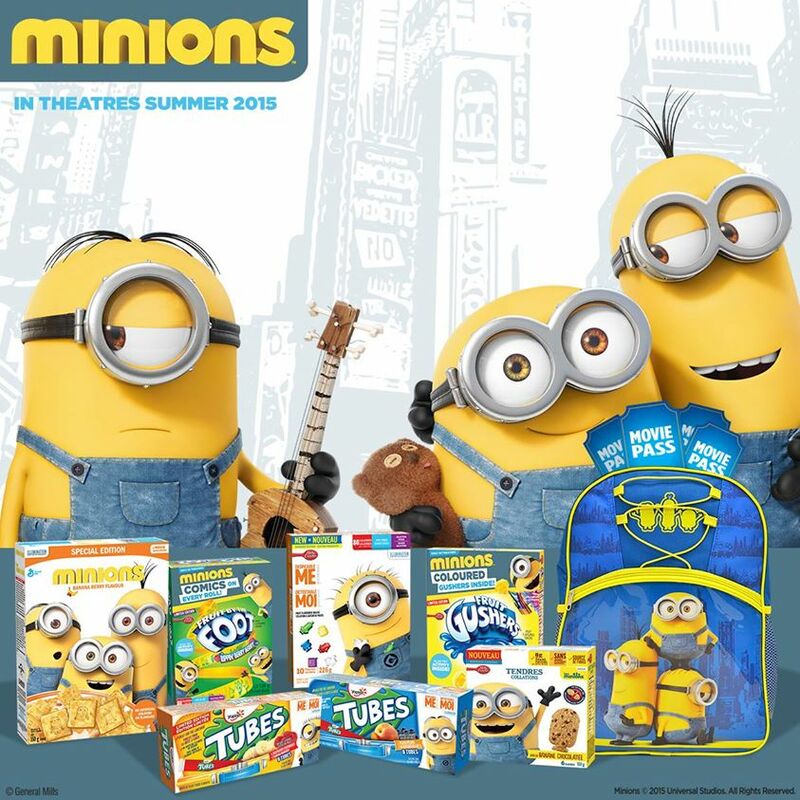 Tell us if you’re a Bob, a Stuart, or a Kevin in the comments section below for your chance to win one of the special General Mills Minions Prize Pack, full of General Mills special, limited- edition Minions products! Open to Canadian entries only. A random draw will be held by Random.org on July 25, 2015. I'm a Kevin fan :) Thanks for the chance! We all love Kevin! This is so cool, thanks! Definitely a Bob. This is a really swell giveaway. Thanks so much and enjoy your weekend everyone. I am a Kevin fan! I came across your blog today. Lots of great ideas. I'm a Bob! Thanks for the giveaway! Definitely a STUART - not the one who always has the best ideas, not the one who always needs to be looked after, but always caught up in the middle of everything! It has to be Kevin! We love Kevin! Great giveaway, thanks for the chance! Everyone says I'm a Kevin. I think i'm probably a Kevin. I am a Kevin for sure! Lol. I really like Bob. He is the most funny of all of them. I believe I'm A Kevin. I'd like to think I'm a Kevin but I'm probably a Bob lol. Banana... Oups, I mean Kevin! I would pick kevin! Thanks for the chance to win! I think I would be Bob. I'm a Bob Bob Bob Fan! They're all adorable but Bob is my fave. I think I could be a Kevin. I'm a Stuart I think... or a Kevin. LOL. I am a Kevin all the way!! I am a Kevin for sure.